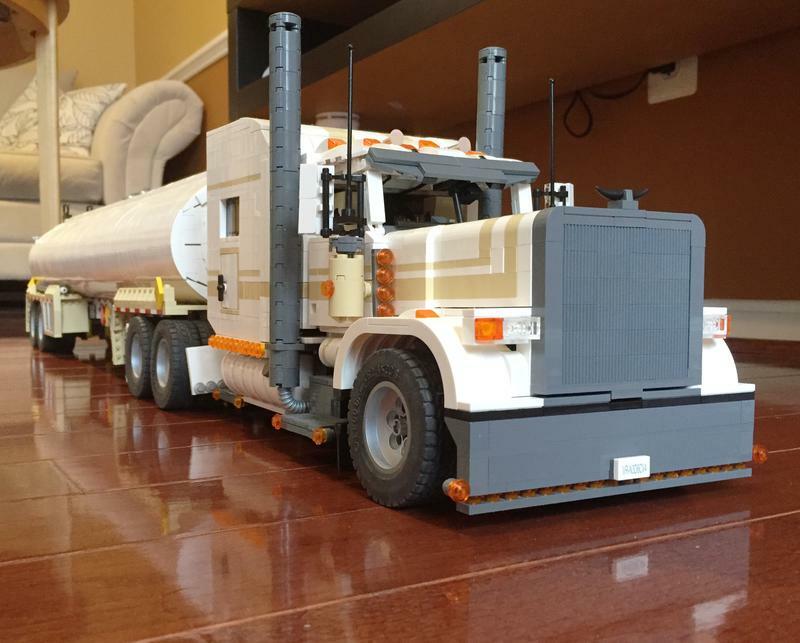 A 1:17 scale Peterbilt 389 model with an Ultra Sleeper in white with tan accents. Uses two IR receivers for remote control playability. PF functions 1 XL motor for drive, 1 servo for steering, 1 m-motor for remotely controlled switch operating the lights. The chassis, hood, cab, etc, are very similar to my orange 389 daycab.